Goal Envelopes, now on your Android! 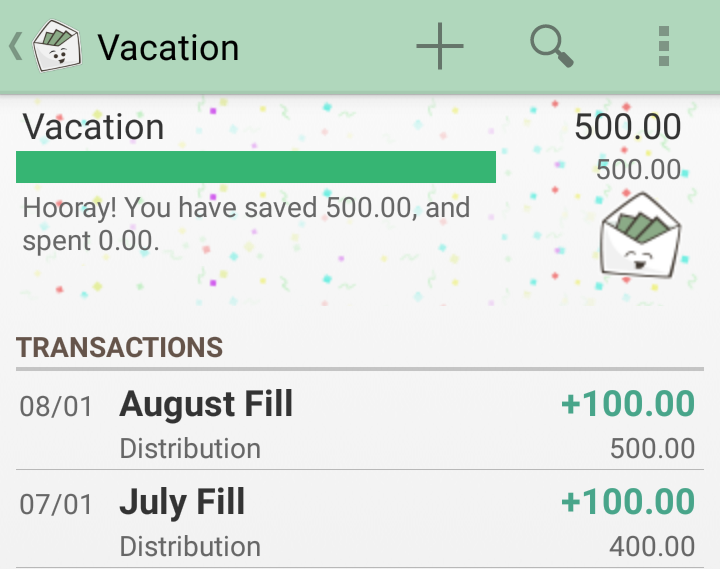 Reach your savings goals with Goal Envelopes on Android! With Goal Envelopes on your Android phone, you can save for those big one-time purchases you’ve been daydreaming about for awhile. Set a due date, and Goodbudget will tell you how much to save from each paycheck to reach your goal. Time to save for that vacation, car, wedding, you name it…Goal Envelopes will help you get there! Save for birthday presents… before their birthday. Birthdays year round. Christmas presents in December. Back to school clothing for the kids in August. After hearing stories like these from Goodbudgeters like you, we added due dates to Annual Envelopes. So you can budget on time. Every time. Add a new Envelope in Goodbudget on your Android phone to see these Envelopes in action. Can you make goals on an iPhone? Hi there – that’s a good question! Right now, you cannot make Goal Envelopes while on iPhone. You can create them on the web, and then you’ll be able to see/add transactions to the Envelope from your phone. Hope this helps!